EFFLORESCENCE - White powdery residue on walls. Uniform Dampness along base of walls. 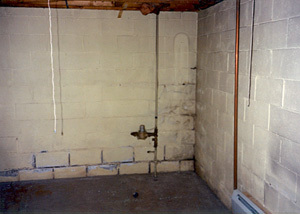 Isolated areas of moisture or damp basement spots. Several Isolated Areas of wetness or dampness.